Read about our forum rules and guidelines here. Zero tolerance on spam! 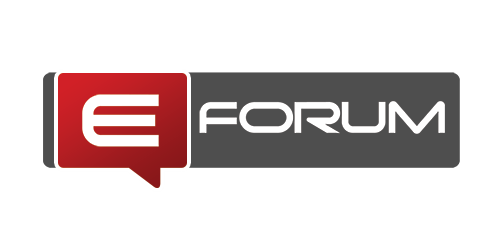 Our terms and conditions are the rules governing how you participation on eForum including in particular any comments, username, links, or images you submit to the Forum ("Content"). In these terms, "Our", "we" or "us" means eForum.com. Please read these terms and conditions carefully as accessing and taking part in the Forum constitutes your acceptance of these terms and conditions. eForum.com is only for you if you're 13 or over. By using the service, you're confirming that you're are 13 years or over. We reserve the right to check this is true. The Forum is provided for your use. The views and opinions expressed on the Forum don't reflect ours (unless they are from one of our Online Support team). You must not submit any Content that doesn't comply with these Terms. A warning will be given if you are found posting contents that violate these posting guidelines. Three strikes and you are banned! impersonates, or attempts to impersonate another person, whether or not that person is a user of this forum. To help us moderate the Forum, all Content must be in English only. Before posting Content which contains an image of another person(s); property owned by another person(s); and/ or reference to another person which might be used to identify them (either alone, or in combination with any other Content), you must get that person's consent before you post it. Should you find any Content that you feel is inappropriate or not in line with these rules, please let us know by using the red flag system on the Forum. If we agree that it should be removed, it may take a day or so for the Content to be removed. We'll review the Content you submit to the Forum to make sure it's suitable, relevant and in line with the rules. If you break the Forum rules then we may require that any future Content posted by you is checked by us before it's allowed to go on the site or even place a temporary or permanent suspension of your ability to participate in any part of or all of the Forum. If you submit or share offensive or inappropriate Content to the Forum or otherwise engage in any disruptive behaviour on the Forum, and the we think your behaviour is serious and/or repeated, we may use whatever information that is available to it about you to stop any further such infringements. The Open Marketplace forum is there for you to advertise goods or services that "you" have to offer. This is not to advertise websites that belong to others or affiliate links that you will make money off leads or sales. This is considered spam and will be removed and you will be banned. The other forums are for discussion and giving advice to others. If you post goods or services there it is considered spam and will be removed and you will be banned. We reserve the right to delete any contribution, or take action against any Forum account, at any time, for any reason. We reserve the right to report to the relevant authorities any Content which we believe to be illegal. The moderators at eForum have caught a number of people trolling the member list sending messages to each one asking for friends, inviting them to join lottery's or advertising services. These members have been banned and their content deleted. If you are approached via PM by anyone making unsolicited offers please report them to an admin and it will be dealt with. We don't claim to own any Content you submit or make available via the Forum and you'll continue to own all rights in that Content. You'll have the right to use your Content in any way you choose. However, by submitting to or making available any Content on the Forum you agree to grant us a perpetual, royalty-free, irrevocable, non-exclusive, sub-licensable right and license to use, reproduce, modify, adapt, publish, translate, create derivative works from, distribute, make available to the public (on the Forum or elsewhere), and exercise all copyright and publicity rights with respect to the Content worldwide and/or to incorporate your contribution in other works in any media now known or later developed for the full term of any rights that may exist in your Content as we may require. By submitting or making available any Content to the Forum, you also agree to waive all moral rights in that Content. We may (without notice to you) grant the same or other rights in respect of your Content to third parties without payment to you and sell, distribute or otherwise publish your Content outside of the Forum. If you don't want to grant us the rights set out above, please don't submit your Content. The majority of Content posted on the Forum is created by members of the public. The views expressed are theirs and unless specifically stated are not ours. We are not are responsible for any Content posted by members of the public on the Forum or for the availability or Content of any third party sites that are accessible through the Forum. Any links to third party websites from the Forum do not amount to any endorsement of that site by us and any use of that site by you is at your own risk. If any one of these terms and conditions is held invalid by any law, rule, order or regulation of any government, or by the final determination of any court of a competent jurisdiction, such invalidity shall not affect the enforceability of any other provisions not held to be invalid. Both you and we submit to the exclusive jurisdiction of the English courts. We reserve the right to review and revise our terms and conditions from time to time without giving you prior notice and by using the Forum after any revision of our terms and conditions, you agree to be bound by the changes we've made.